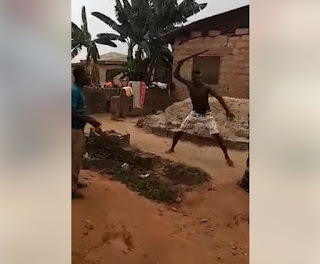 A staff of Ikeja Electricity Distribution Company (IKEDC) was assaulted and beaten with a machete while trying to disconnect light in an area in Lagos. In a video which has gone viral on Facebook, the man and the IKEDC official can be seen engaging in a serious fight before the resident rushed to his house to get a machete. Despite being begged by residents to stop the fight, the young man descended on the official with the weapon. 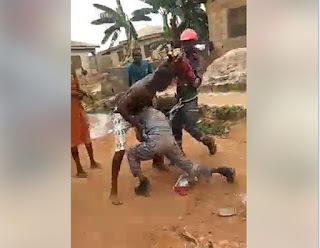 This is coming after some family members were filmed fighting IKEDC officials over disconnection of their light at Ikeja, Lagos state, last month.